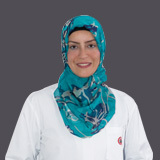 Dr. Mustafa was a House Officer medical rotation in Tripoli, Libya (1991 – 1992), an SHO medical rotation (1992 – 1994), and then a Registrar of Dermatology at the Central Tripoli Hospital in Libya (1994 - 1997). 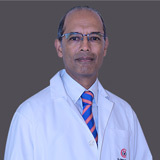 He was also a Clinical Fellow at Saint Thomas’s Hospital (1998 – 1999), and at Hammersmith Hospital (1997 – 1998) London, UK. Dr. Mustafa attended many development courses including an Allergy and the Skin course at Norwich Summer Allergy School in Norwich University, and an Advanced Scottish Paediatric Dermatology course at Ninewells Hospital in Dundee. 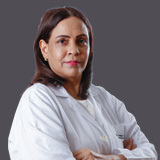 Dr. Mustafa worked in the dermatology field since 2002, Attending & participating in teaching medical students and new dermatology doctors at many dermatology meetings and conferences in the UK, Europe & the US. 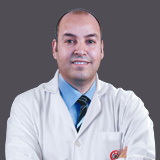 Dr. Mustafa held the position of Dermatology Specialist at Birmingham Skin Center, Birmingham City Hospital, UK (2002 – 2003), and the Dermatology Department, Doncaster Royal Infirmary Hospital, UK (2003 – 2009) where he was later promoted to Dermatology Consultant (2009 – 2012).